Target Test Prep is redefining what it means to provide exceptional, engaging, and highly personalized preparation for the GMAT. We blend world-class teaching, individualized learning, a content-based curriculum, and modern technology to provide our students with a peerless GMAT prep experience. Our private GMAT instruction is delivered via the web. Real time video and audio are combined with an interactive white board that lets both you and the instructor post problems, annotate solutions, and generally do anything (and more) that can be done on a sheet of notebook paper with a pen. 20 Chapters of Ultra-Comprehensive GMAT Math Topics. 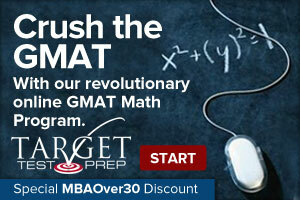 Comprehensive GMAT math curriculum fused with score-increasing tools, insights, and strategies. 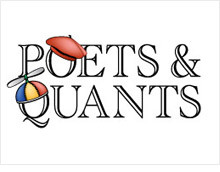 All the content information you need to master the quantitative section of the GMAT is here. Chapter-Level Content Tests. Each chapter in the Target Test Prep GMAT Math Course is supported by chapter-level content tests that allow you to apply what you have learned and gauge your progress. Personalized Problem Set Creation Tool. Practice content that covers a variety of topics all at once, simulating the real GMAT quantitative section experience. Access the Course from Anywhere via the Internet. No matter where you are or how busy your schedule, our GMAT math curriculum and online private tutoring are always accessible. 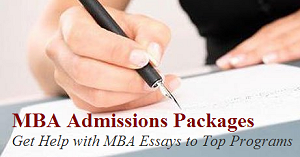 Over 2,000 Practice GMAT Questions with Detailed Solutions. There are dozens of questions for each topic with varying levels of difficulty to cater to learners of all abilities. Detailed Performance Analytics for Faster Progress. Statistics to help you identify strengths and weaknesses, making your study time more efficient and effective.